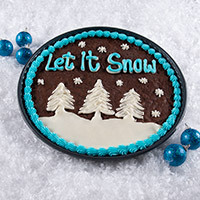 Send the sweetest winter wishes with this delightful Christmas dessert! 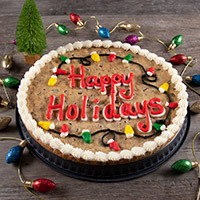 Our giant 12-inch cookie cake is loaded with rich chocolate chips and hand decorated with creamy vanilla frosting frosting to create a festive treat that's completely impossible to resist! My granddaughters just loved this cookie. They live far away from me and this is a great gift for any occasion and easy to give, just order and it is all taken care of, no stress of shipping or worrying. Ordered this for the grandkids! They loved it. delivery was on time for christmas! Great! I sent chocolate covered jalapeño gifts to the families during Christmas and realized how the “kids” may not be able to eat those. 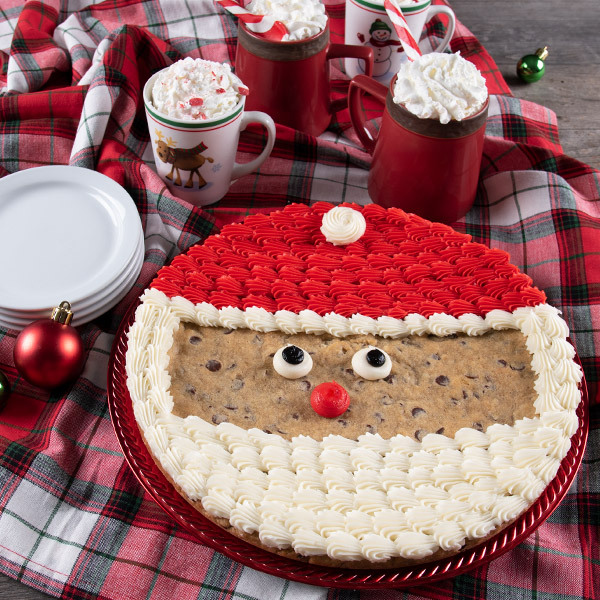 The Santa Cookie was a perfect add on and a huge hit! wanted to get something for my friend's family to enjoy and everyone loved it - from kids to adults! It looks really good.It is sweet and tastes really really good. So happy to have found this for my nieces and nephews who live in another state. They (and the adults) loved it! As promised, it was a giant cookie, shaped like Santa's head. Oh man!!!! This cookie cake is amazing. My favorite part of it was how soft the icing was. It was as if I had piped it out AND it lasted like that until it was completely gone two weeks later. Wish I had more leftover. It looks amazing The cake was moist and yummy and my kids and I loved it. We literally had to control ourselves not to go back for seconds and thirds every time we ate it. We will be using Gourmet Gift Baskets for our out of town family this year. They are so much more than baskets.